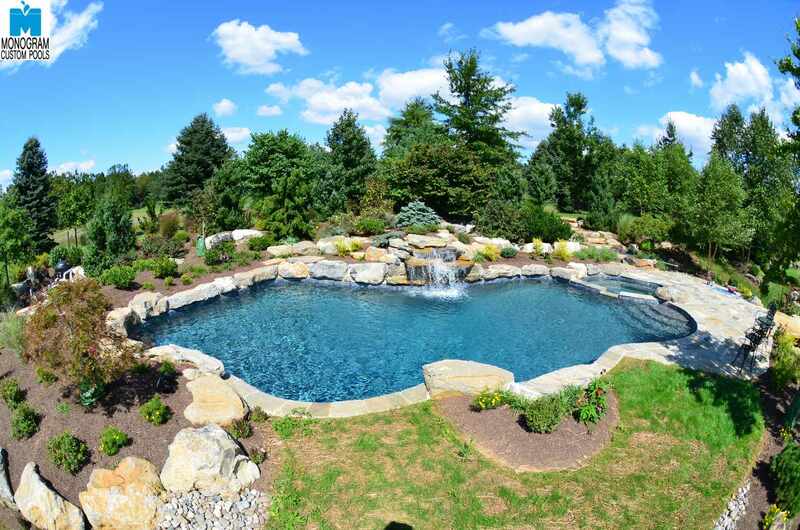 How much does a concrete in ground pool cost to build in Lehigh or Bucks County? We have always felt that it is best to be upfront about pool costs and show you the TRUE cost of building a pool with all of the items you will need to complete the project. We also include EVERYTHING needed to complete your pool with no hidden surprises like bills for water, electricians, or engineering grading plans. That being said, you can build a small concrete pool with some basic amenities for around $55,000-$60,000 or fully loaded pools with swim up bars, waterslides, spas and waterfalls for well over $200,000. And everywhere in between! In summary, building a concrete in ground pool correctly will cost as low as $55,000 and as much as you can possibly dream. Note: There are ways to build a concrete pool for a few thousand less than what we just specified, but it usually involves using cheaper, more crack prone wet mix shotcrete, thinner rebar, non brand name quartz finishes, or lower end, energy hogging equipment instead of the world’s best, Pentair. We don’t recommend trying to get the price down by lowering the construction standards.